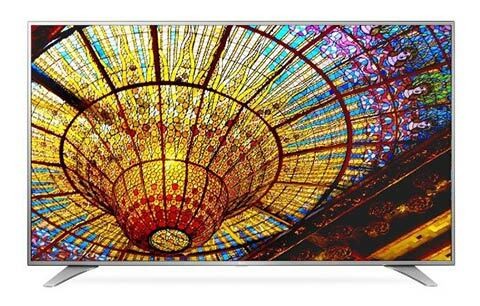 Are you finally ready to get a new TV for your home and you’ve decided to take a look at what LG has to offer? Well, you are looking at the right web page! 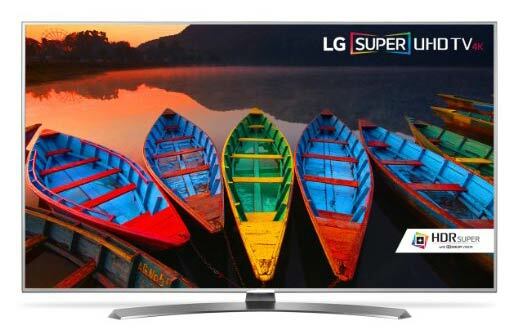 Our comprehensive reviews of LG televisions and the different options and models available, you will be able to narrow down all the possibilities to find the perfect TV for your home. Once you’ve read through the LG reviews on our site, you will have learned a ton about what LG has to offer. Our reviews will walk you through the different features, options for screen sizes, new and innovative technologies and the pros and cons of each television. To get you started, go through the new LG televisions for 2017. 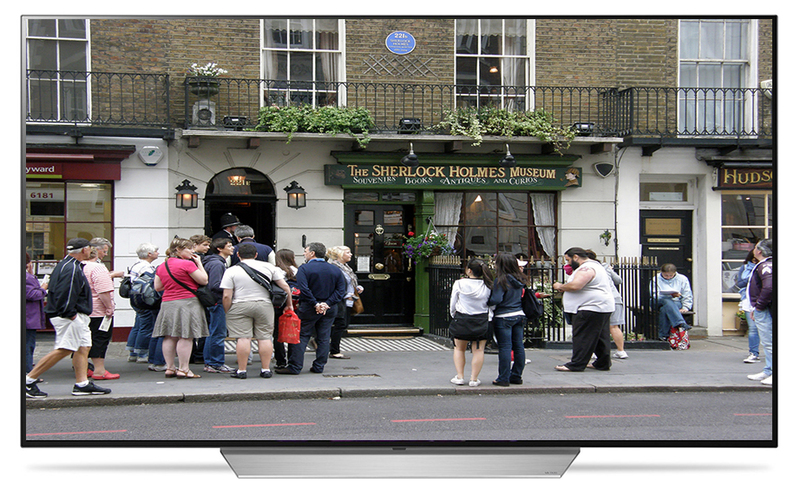 You can read a short summary of each television to get a good overview, which is a great way to start your search. Then, you can check out our recommendations for the best TVs from LG to make the buying process and smooth and simple as possible. This short review of the LG TVs in a series model E7P is to point out the tech features that bring value to price. 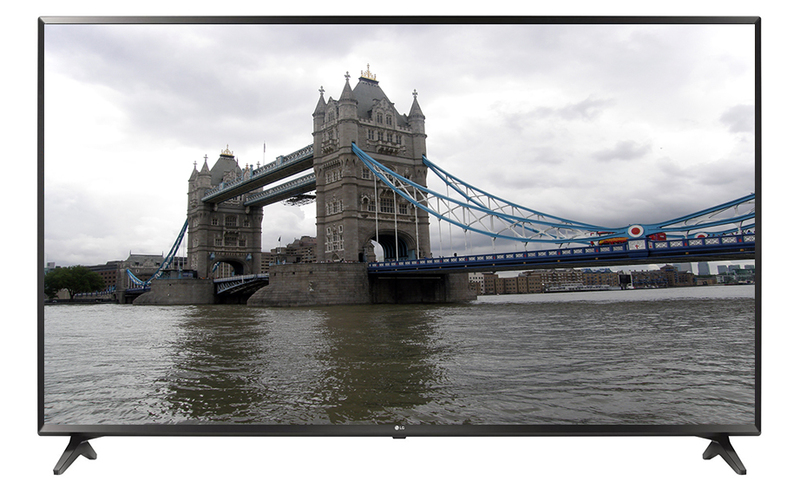 The model comes in two screen options of 55 and 65-inch sizes. While screen sizes differ the technical components of the model are the same. This alleviates a lot of the quandary for consumers of having to choose between the technology and the screen size that budget can afford. In terms of technology, LG’s OLED 4K E7P TV offers the addition of Dolby Vision color to go along with HDR 10 (high dynamic range) color feature technology that brings the type of color brilliance viewed in professional theaters. There is also the theater quality Dolby Atmos surround sound. The sound ‘barrier’ has been broken as is found in lower end TVs. Sound quality in volume and harmonic tone is beautiful. The SDR (Standard Dynamic Range) tech brings brightness to the entire screen and makes for excellent viewing in bright room settings. Color brightness, black uniformity, grey uniformity is “flawless.” Enjoy the Magic Remote with voice activation to navigate content with ease. Enjoy screen mirroring the content from tablet or Smartphone to your big screen LG E7P. 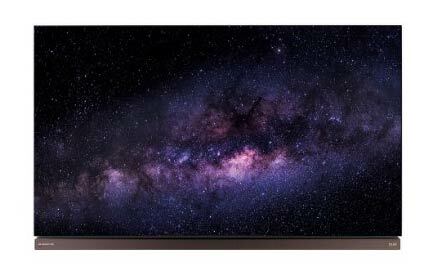 The LG OLED 4K SMART G7P TV is the ultimate in luxury TV in sizes of 65 inches and 77-inch display screens. As I reviewed this technological masterpiece I was in awe of: the HDR-10 color brilliance with the Dolby Vision color, PLUS HLG Technicolor! Wait . . . what is HLG Technicolor you ask? You heard of HDR color (high dynamic range color) but HLG? What is HLG? HLG stands for Hybrid Log Gamma color technology. Concisely, it is the innovation of both Britain and Japan and designed for satellite, cable and live TV broadcast to bring better compatibility to the HDR 10 and Dolby Vision experience. Don’t fret too much about HLG tech right now, as with the technology of 4K TVs and very little 4K content at present, there is very little HLG content being broadcast. With that said, HLG is the new wave of the future in color TV broadcasting and LG’s G7P has it! The G7P also has 4 HDMI ports and 3 USB ports, a screen mirroring feature to cast content of your tablet or Smartphone to TV, easy navigating with WebOS 3.5 and Dolby Atmos surround sound to make a perfect home theater experience! 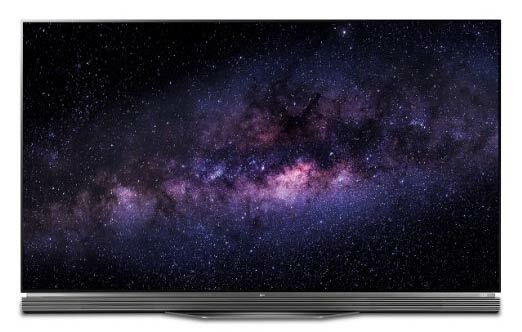 The 49, 55, 60, and 65 inch screens of the LG UJ7700 4K TVs sport very budget friendly prices due to LG’s use of RGBW which adds a white light to the normal RGB (red, green, blue) pixel structure. While the addition of white light reduces the manufacturing cost of large screen 4K TVs, be forewarned, the 4K-color sharpness is also reduced. Having said that, let me continue with the review of all the UJ7700’s technical components. 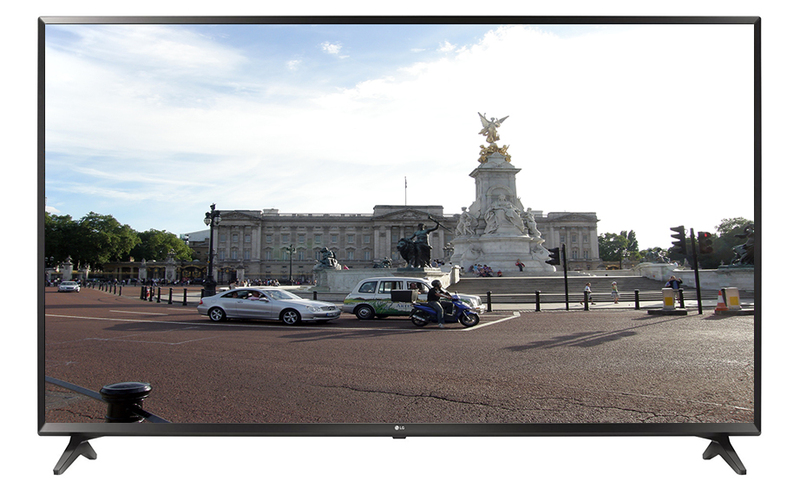 The UJ700 features Tru-motion 120 that builds upon the native 60 Hz processor speed of frames per second to TV screen. There is a LED backlight panel that illuminates the color pixels. The color brightness is good due to HDR (high dynamic range) color technology. The overall screen brightness is a bit subdued because of an average SDR (standard range) of color saturation. The low input lag of image to screen brings good up-scaling of lower res content and makes video gaming excellent. The LG WebOS 3.5 allows for easy navigating to an array of pre-loaded popular apps. The cursor on screen will follow the direction of where the remote points and with the remote’s microphone the TV settings can be voice activated. 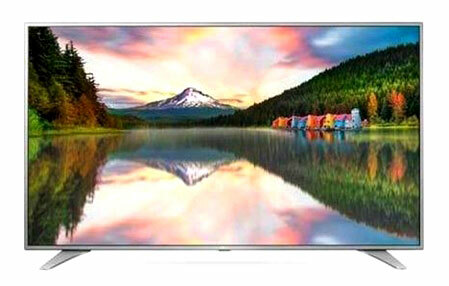 This is a short technical review of the components that make up the LG Model UJ6300 4K OLED TV. 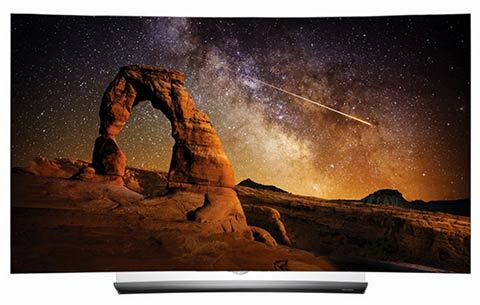 OLED TVs have no backlight panel as is found in HD LED TVs. The light source that illumines the color pixels comes from electric current. With the UJ6300 model, consumers have the option of selecting from four different screen sizes of 43, 49, 55, and 65-inch screens. Color contrast, the most important feature to a quality viewing experience, is average. SDR color (standard range) screen brightness is average due to LG’s RGBW manufacturing process that adds a white light to the normal RGB (red, green, blue) pixel structure. With the addition of this white light, 4K is not authentic 4K-color sharpness. 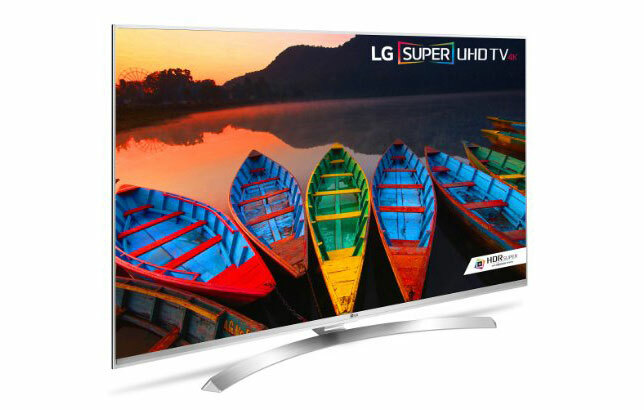 While picture quality is average, however, LG has offset the modified 4K sharpness that brings big screen TVs within grasp of average household budgets with such tech features as a 60 Hz processor providing a good response time of frames per second transition, little motion blur to 4K or lower res content, The input lag time is low and makes for excellence in video gaming. 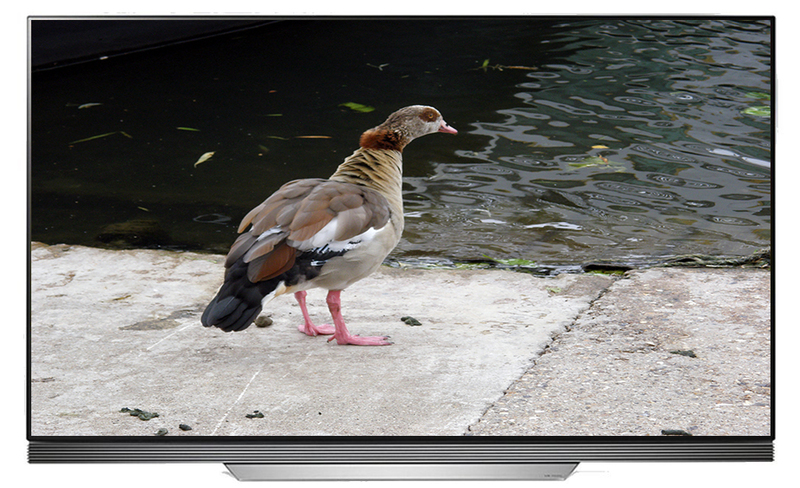 LGs Smart TV WebOS 3.5 provides easy navigation to the most popular of internet apps. LG remains at the front of the technology wave with the release of their 2016 televisions. They continue to set the bar when it comes to OLED screens, but that isn’t the only thing they’ve done right. 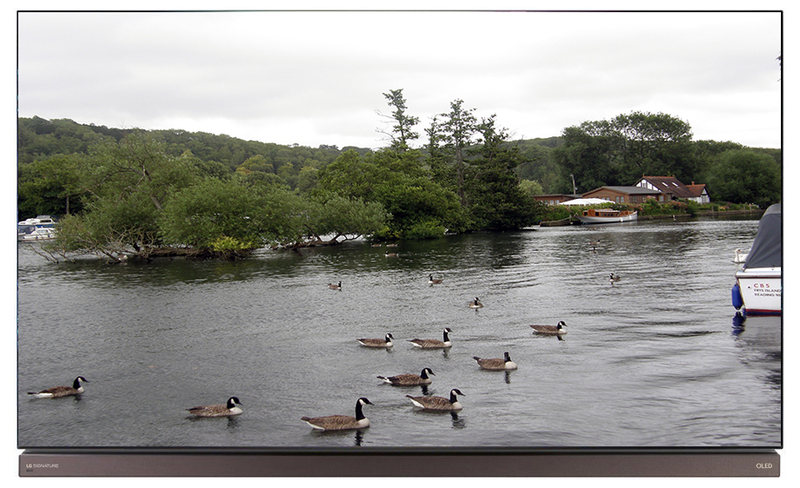 Covering the entire spectrum of picture definition standards, there are sets available for HD, UHD, 4k Super UHD and even their newest technology, the mind blowing 8k Super UHD televisions. One of the highlights of the 2016 LG smart TVs is the updates and enhancements made to their webOS operating system. The new smart TVs will be running webOS 3.0 which brings plenty of new features to their already impressive lineup. With the ability to split the screen between two channels, or between two video sources, users finally get something that’s never quite been successfully put together before. There’s also ability to play music through their music app without actually turning the TV on, which is something simple, but very smart. Through another of LG’s apps, they will even communicate with other smart appliances throughout your home. Overall, the 2016 LG TV lineup is a cinephile’s dream. The viewing experience on LG equipment is like no other. They have a solid reputation for not only great picture, but outstanding color reproduction and contrast, which, of course, are essential if you want the best possible experience when watching today’s digitally produced movies. 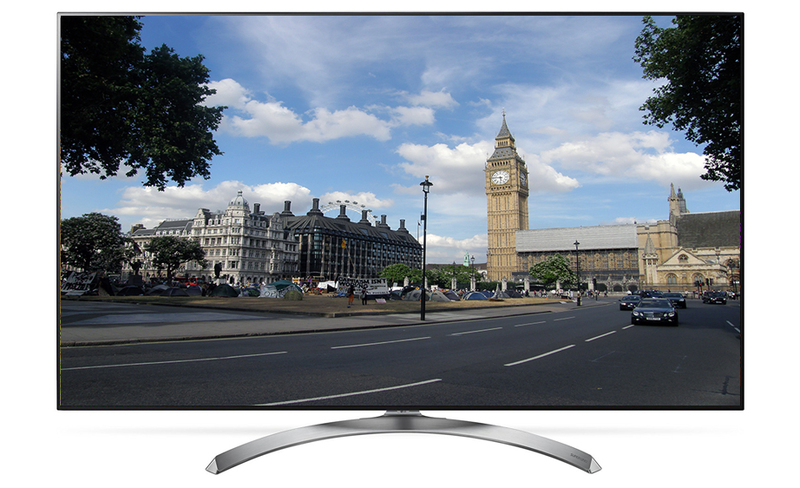 Once you get an LG television in front of you, you won’t even consider any other brand.